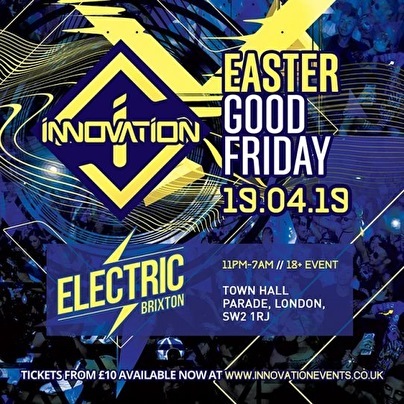 Innovation : Easter Good Friday - 3rd Release selling FAST! Night 2 of a 2 night rave experience! On Easter Friday Innovation will once again returning to the Electric Brixton, scene of our road blocked New Years Eve event!